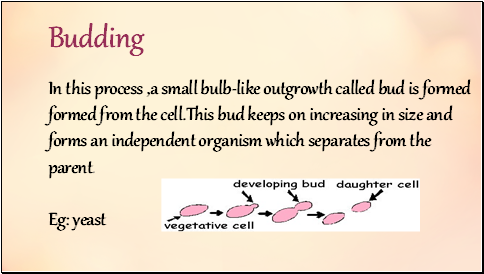 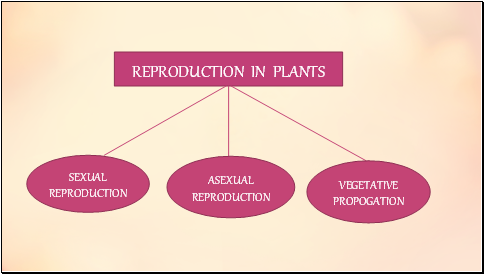 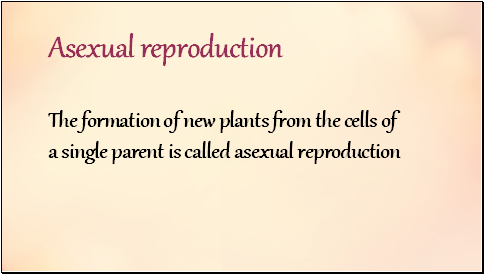 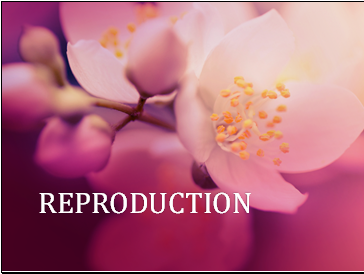 In this process ,a small bulb-like outgrowth called bud is formed formed from the cell.This bud keeps on increasing in size and forms an independent organism which separates from the parent. 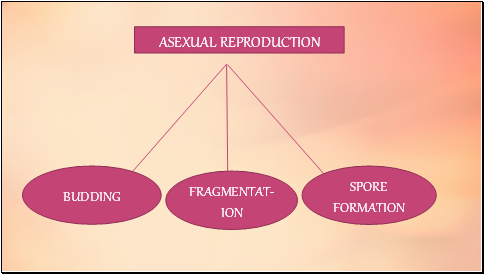 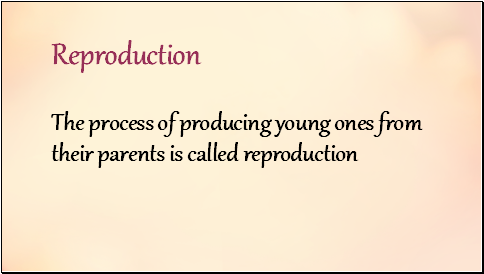 In this process, the adult organism just breaks up into two or more pieces called fragments. 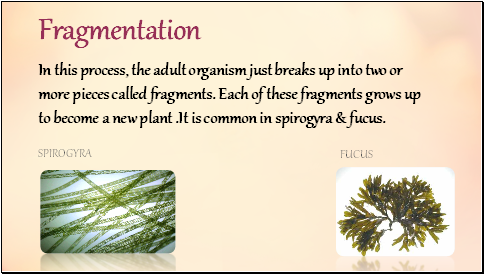 Each of these fragments grows up to become a new plant .It is common in spirogyra & fucus. 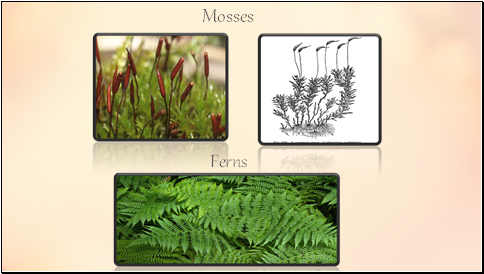 Some plants like ferns and mosses multiply asexually through spores . 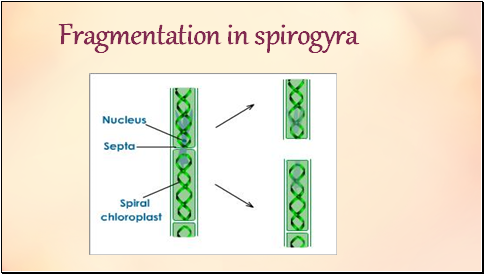 Spores are microscopic single celled or several celled reproductive bodies that are protected by a thick wall . 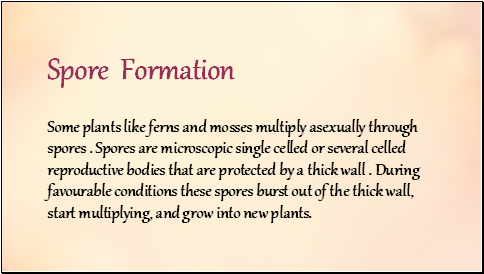 During favourable conditions these spores burst out of the thick wall, start multiplying, and grow into new plants.